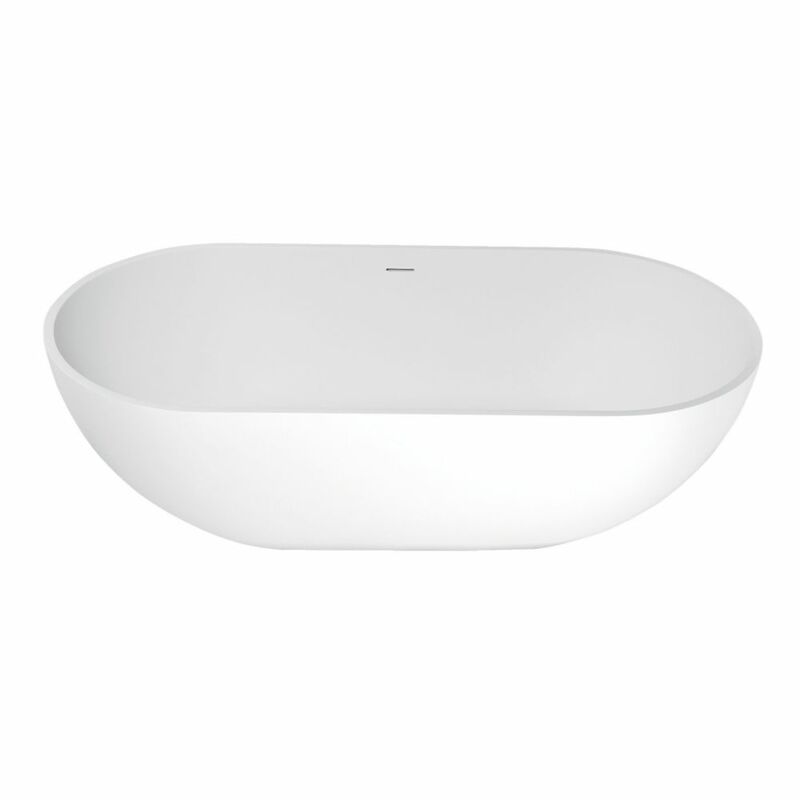 Enhance the elegance and atmosphere of your bathroom with the Bryanna Solid Surface Freestanding Bathtub. The man-made stone is a combination of ground up natural stone and acrylic resin that creates a durable and velvety feel. Known for its renewable finish, natural heat retention and non-porous traits means that your tub is inherently easy to care for. Perfect for a relaxing and luxurious bathing experience. Bryanna 70 inch Solid Surface Matte Stone Flat-bottom Freestanding Bathtub in White Enhance the elegance and atmosphere of your bathroom with the Bryanna Solid Surface Freestanding Bathtub. The man-made stone is a combination of ground up natural stone and acrylic resin that creates a durable and velvety feel. Known for its renewable finish, natural heat retention and non-porous traits means that your tub is inherently easy to care for. Perfect for a relaxing and luxurious bathing experience.